This month, the NNA’s Immigration Section reported on immigration document security, job demand for translators and state penalties against immigration assistance fraud. To deliver this level of industry-specific information to Notaries, the NNA has developed a distinguished Advisory Panel for each of its six Professional Sections. In this Advisor Spotlight, we introduce you to Immigration Section Advisor Crystal Williams. Crystal Williams, Executive Director of the American Immigration Lawyers Association (AILA), has been involved in immigration for more than 25 years as an immigration attorney and law publisher. Before accepting the position of Executive Director, she served as AILA’s Deputy Director for Programs and Director of Liaison and Information. Previously, she practiced immigration law in Atlanta, Georgia, and worked for the Policy & Planning office of the U.S. Immigration and Naturalization Service (now known as USCIS). 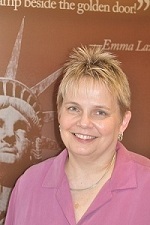 Williams has managed immigration-related periodicals such as Interpreter Releases and Immigration Briefings. She is a graduate of Georgetown University Law Center.